Ajax starlet Frenkie de Jong reportedly wants to join Barcelona, but the Catalan giants have put a cap on his possible transfer fee. The 21-year-old continues to impress for the Dutch outfit, featuring as an ever-present so far this season after putting an injury setback suffered last year behind him. With the technical quality and ability on the ball that he possesses, he would arguably be an ideal fit for Barcelona in terms of their style of play. Nevertheless, the La Liga champions did sign both Arthur and Arturo Vidal this past summer, and so it’s questionable as to whether coach Ernesto Valverde will want to prioritise signing more players in that department. According to Marca though, it’s suggested that De Jong has no doubts that he wants to play for Barcelona moving forward, although it’s added that importantly, Barca are not willing to spend more than €50m on him. In turn, that sets up an intriguing situation where it remains to be seen whether or not the two clubs can negotiate a fee and reach an agreement, otherwise Barcelona could be forced to look elsewhere if Ajax’s valuation of the player doesn’t fall into their budget. De Jong would certainly be a quality, long-term addition to the squad. With the likes of Ivan Rakitic, Sergio Busquets and Vidal all on the wrong side of 30, an argument could be made that he could be seen as the future along with Arthur in the Barcelona midfield. Nevertheless, it seems as though the club have their own valuation in mind, and so time will tell if Ajax are willing to do business next year or if Valverde and Co. will have to consider alternative options. 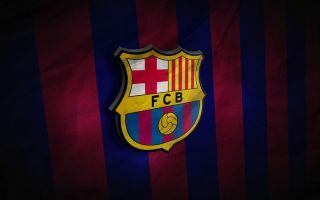 It is however a seemingly smart strategy to look for long-term replacements now, giving the likes of Arthur and potentially De Jong a chance to settle at the Nou Camp while working with their senior teammates before taking on more responsibility.